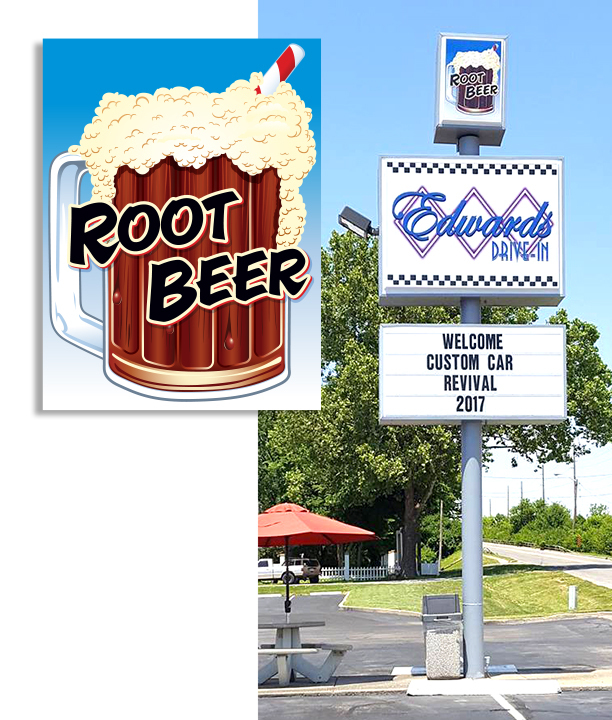 Edwards Drive-In is a local icon based in Indianapolis, Indiana. They’re known for their amazing breaded tenderloins and homemade root beer, and are celebrating their 60th Anniversary this year! Believe me – if I lived closer to them I’d be a frequent patron, their menu looks AMAZING. We just don’t have joints like this in California where I live. A couple years ago they contacted me to create a cool shirt for their Halloween Spooktacular Car Show, which they hold every year in the fall. That was a fun design to do – I LOVE all things Halloween. 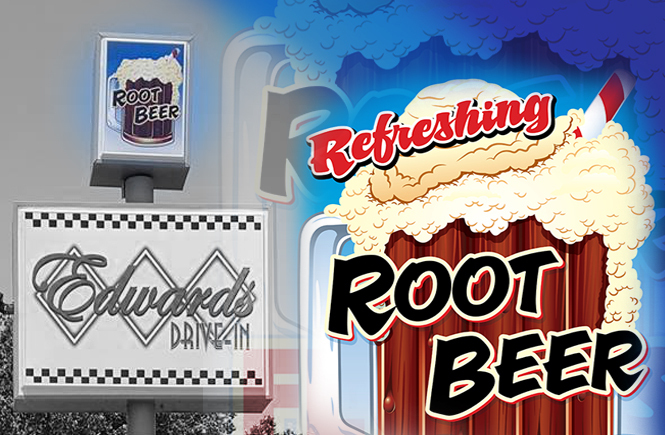 Recently they contacted me again and asked if I’d like to create a new sign for them, as well as a 60th Anniversary logo package that will be used for ads, labels, and the like. 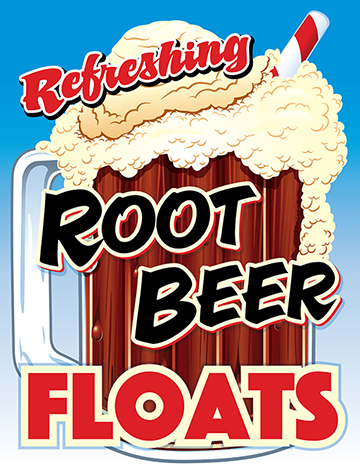 A mug of root beer that will be 3 feet tall? Heck yes I’ll do it. Well they just installed the new sign and it came out great! This art was created using Adobe Illustrator and printed by their local sign shop. Here’s another version of the art that they’ll be using for other print media as well. 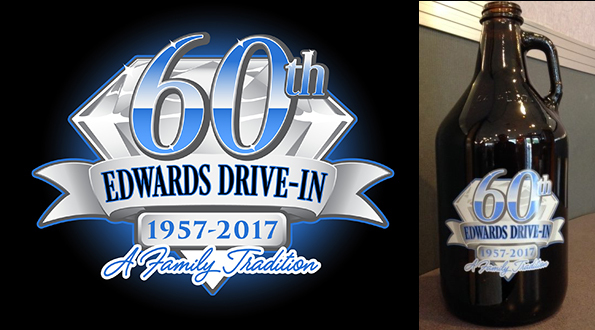 And last but not least, here’s a version of the Edwards Drive-In 60th Anniversary Logo Artwork that is already being put into use – in this case as a label for their root beer growlers! Thanks for looking! I’m off to try to find something to get rid of the tenderloin craving I suddenly have!